Shoppers at Asda are continuing to choose to buy their groceries online and pick them up in-store. Asda’s latest financial results stated that click and collect now accounts for 10% of all its online orders and is used by more than 20,000 customers a week. The grocer estimates that click and collect orders will treble over the next five years to account for 30% of all online sales, as customers increasingly choose this method of shopping. The supermarket has extended its opening hours by four hours on a Sunday so customers can collect their shopping and has seen a 20% increase in orders on that day. Asda also stated that its market share of online shopping had increased to 18.4%, with double-digit growth of e-commerce sales in the UK. Asda president and CEO Andy Clarke said he was pleased with the previous quarter’s performance, but he noted that success is about the long-term journey. “Innovation, low prices and customer service remain at the heart of our business. Over the coming months and years we will continue to implement and build on this successful strategy, as we constantly look at new and improved ways to run our business,” he added. Alex Alexander, multichannel technology director at Asda, told Computer Weekly in April that Asda’s strategy is to become successful in different channels independently of each other and to then make it seamless for customers going through the different channels as part of their shopping experience. “Our journey has been no different than that of our competitors. We are traditionally a retailer, created an online business, then mobile channel, then let it grow that way,” he said. 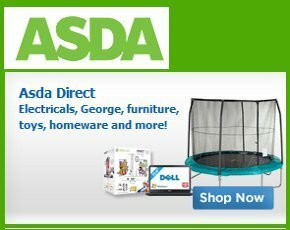 Asda has worked with eCommera and Demandware for many of its online and back-office IT systems. Ecommera, in particular, is behind Asda’s click-and-collect capability. Meanwhile, parent company Walmart announced that e-commerce sales have increased globally by around 24%, with double-digit growth in the UK, US, China and Brazil. The retail giant has more than11,000 stores in 27 countries, as well as e-commerce websites in 10 countries. Over the previous quarter, which ended on 30 June, net sales for the company increased by more than $3.2bn – rising by 2.8% to $119.3bn. Doug McMillon, Walmart president and CEO, said e-commerce was part of the reason for the positive growth. The company plans to continue investing in e-commerce and McMillon said the company needed to move quickly to serve its customers more effectively. “Our investments in e-commerce and mobile are very important, as the lines between digital and physical retail continue to blur. Our customers expect a seamless experience and we’re working to deliver that for them around the world,” he said.